2. If I tried to name all of your titles, I would probably embarrass myself with how many I would forget! Please tell us a little about who you are and what all you do! This question makes me smile! I’m not sure where to start. I am an adopted farm girl that grew up in Wyoming. Right out of high school, I married a cowboy from the Sandhills of Nebraska. My husband Cody, our four children and I make our life on our own family ranch raising beef cattle, Quarter Horses and a few ranch dogs. 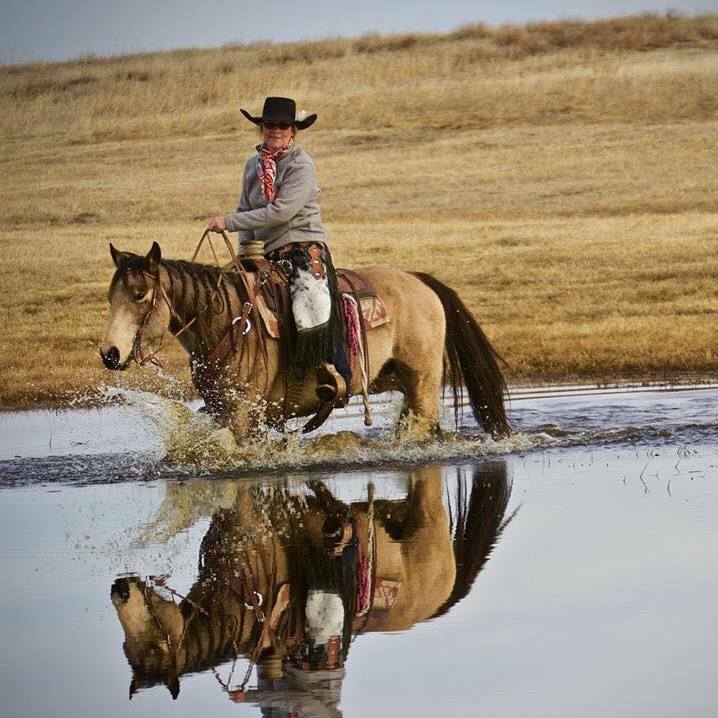 My days are spent wrangling ranch children and animals, driving kids to school, managing a feed store, volunteering around our community and blogging, while also maintaining my duties as a ranch wife, ranch mom, ranch hand, ranch rodeo producer and whatever else fits in the cracks. 3. Beef advocacy is a huge part of your story. Other than owning cattle, why is this so important to you and why should more people in our industry get involved? 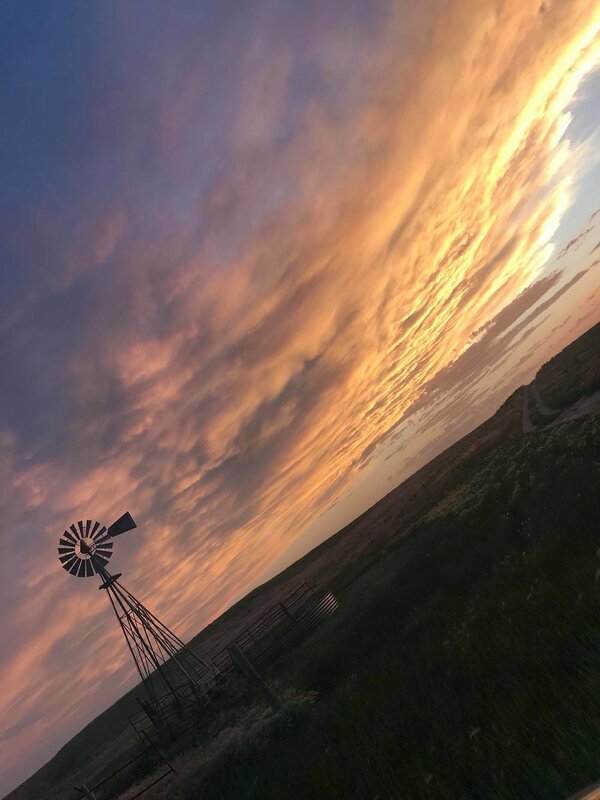 Beef and agricultural advocacy is a story that has really never had to be told, but today there are generations removed from living and working on farms and/or ranches, and because of that consumers are not necessary connected to agriculture and their food sources. Consequently, these consumers want to know where their food comes from, how is it raised and the health benefits. As producers, we need to tell our stories; we need to connect with the consumer. If we don’t tell our stories, someone else will, and probably not accurately. 4. The first time I met you was at the WSRRA Finals in Winnemucca, Nevada (a long ways from your home!) Can you tell us about the work you do for them? I just got back from the 2018 Western States Ranch Rodeo Association National Finals in Winnemucca, Nevada. I’ve been involved in the association and ranch rodeo for more than 7 years. I am an association representative, and I write articles about WSRRA and its membership and help manage social media. I also produce WSRRA-sanctioned ranch bronc ridings and sanctioned ranch rodeos. 5. I think you must be a content creation queen! How do you generate new, fresh ideas for all of the channels you help manage? Well, I’m not sure if I should get a crown but I do try to keep my content interesting. I have attended social media trainings and the speakers tell you to pick an audience that you want to reach and create posts pertaining to that audience. I do it the other way around. I share what I think will help those that are scrolling by, instead. I also re-share posts and pictures. I won’t lie, some days I don’t share anything. I have made a promise to myself that I won’t be that mom, wife, friend, etc., that their phones have taken over their lives. I think it’s really important to share our stories but don’t let social media take over your life. 6. What kind of impact has social media had on you and your businesses? I hate to admit it but social media has had a huge impact on my life. I have a love-hate relationship with it. In reality, social media is not going away ever, so we might as well embrace it. I use social media as a tool and I try to not overuse it. The impact of social media on the feed store has been awesome, because we can ship tack and others items to people anywhere. 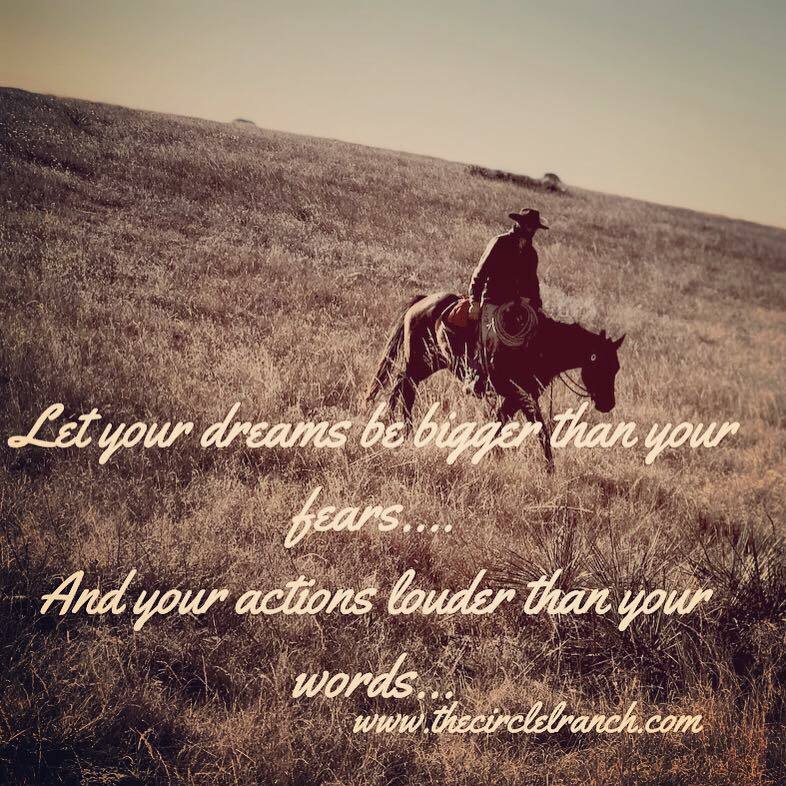 Social media for the ranch and my blog helps me to share our ranching lifestyle with the public. 7. What advice do you have for ranch women looking to find their unique voice in an online space? I love the word “unique.” We all have a story. My advice is to be authentic and show the true you. And, most importantly, don’t put your family, friends, etc., on the back burner for your online space. I have learned the hard way and it isn’t not worth it. Just be YOU and don’t forget to SHINE! 8. Can you share your craziest travel story? So far, the craziest trip was when a vegan sat beside me on a plane. I am pretty sure that she regretted her decision but our trip went by fast. At the end of the trip, she did tell me thank you and wanted a picture of a real cowgirl. I learned that there are so many misconceptions of farming and ranching, and some people don’t know who or what to believe. She has recently reached out to me to learn more. She hasn’t had a piece of beef yet, but I am working on her! 9. What are you listening to? Country Legends Online: http://listen.streamon.fm/kamiam. It is the best!! I believe you should SHINE bright every day. Don’t let anyone dull it.